Posted on July 15, 2013	by Robert P.
Before I receive my box from Google to return Glass, I wanted to put out this request to the Interwebs: Is there anyone willing to sponsor my continued ownership of Glass for educational purposes? 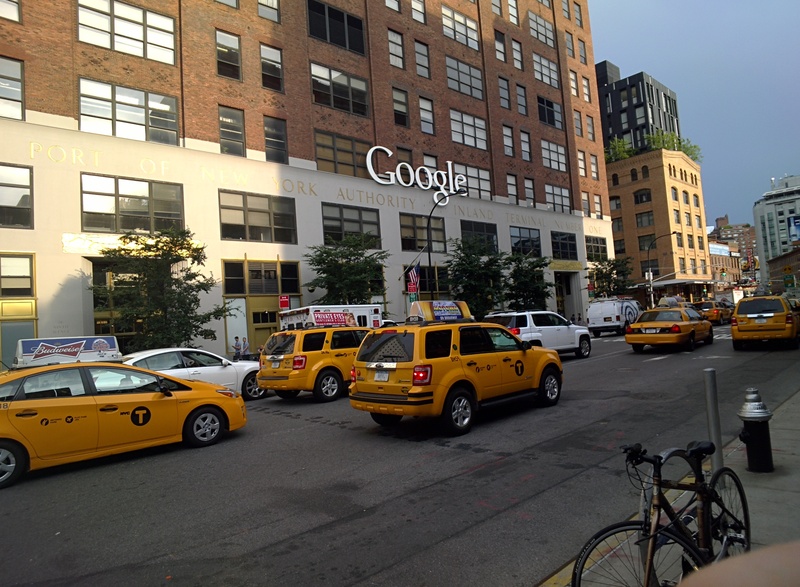 Google NYC as captured by Glass. First, the reason for returning. I wore Google Glass for three weeks, in my normal day-to-day life, at ISTE in San Antonio, and walking around the streets of New York City. I found it useful at times, but more often was very interesting for the perspectives other people saw when they tried on Glass. It was far too bothersome for me to enjoy using in my day-to-day, I often placed them atop of my head in San Antonio, and kept watching my back in NYC as I was very obviously wearing an expensive device on my head (mostly using them to protect my eyes from the sun). My laptop is on its way out of being useful and there is no way I can justify purchasing a new computer and Google Glass within the same two or three year period. Finally, as the educational use of Glass hasn’t even been begun to be determined, there is no way I could ask within our district community to support with Glass, as we have far more pressing issues, like having enough quality books for students in our classroom libraries. 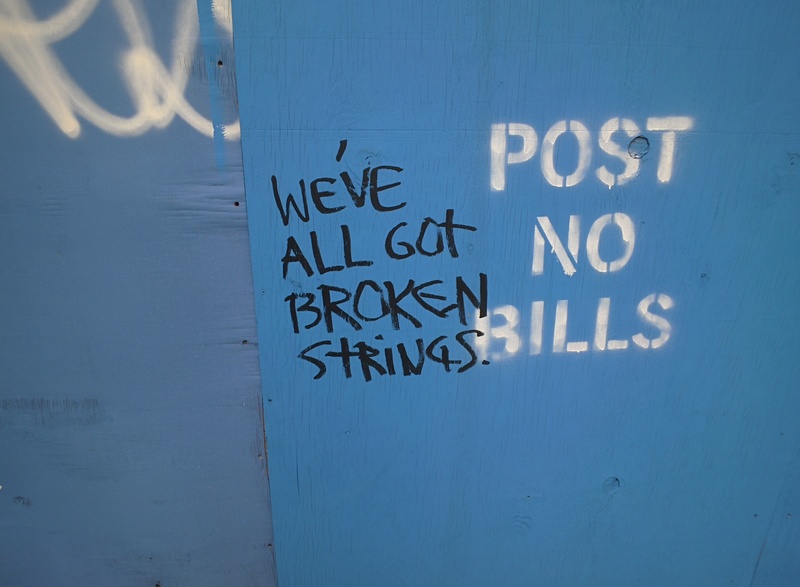 Awesome line I captured while walking the streets of NYC. I would like to try Glass in the classroom to determine how this new technology can support student achievement. Ideas that have been floated my way include having your lowest student and highest student each wear Glass during a lesson and seeing where their focus was and what interactions they had (via @SrtaLisa), using it as an easy way as a coach to video and give feedback without dealing with setting up a video camera, one of the hundreds of ideas students might come up with when the device is put in their hands, or even just my original idea from the #ifihadglass contest. The tweet that afforded me the opportunity to give Google $1650. Glass costs a hefty sum (~$1650) and I am expected to return Glass once I receive the return box this week, so here is my plan. I’ve created a Google Form that you can fill out with your name, email, amount of Glass you’d sponsor, and any special requests. Special requests will be fulfilled as much as possible, but need to keep a few things in mind: 1) I will happily wear clothing with your company’s name/Twitter handle/etc when wearing Glass, but no other teacher or student will; 2) I will not do or post anything that might embarrass or harm anyone, especially in the context of school; 3) I’m happy to do a Google Hangout or create a video for you, but unless I’m already planning to attend the event, likely will be not able to fly myself outside of the Bay Area on my own dime. Finally, rather than just collecting money through PayPal, I want to collect information from interested parties because I’m running this like a Kickstarter campaign. If I don’t receive at least 2/3 of the funding, I will be returning Glass and will not be collecting any sponsorships. But if somehow I’m able to raise enough sponsors in the next week, I will be holding onto Glass for use in the classroom, allowing so many new perspectives to be seen and heard. This entry was posted in EduGlass. Bookmark the permalink. 4 Responses to Glass in the Classroom? Robert, I love the request! Good for you to share your honest opinion and to simply ask for a sponsor or donor. I hope you will keep us informed on how this is going. I’d be very interested to know if you were able to keep them. Thanks! I was able to keep them, though still working to raise the final portion. I figured it couldn’t hurt to ask and that way I’d only keep it if there was a desire out there for it to happen.